When the government can tell you what you can and can not do with your “Private Property” it is no longer private property. Click here to read: Why do Private Property Rights Matter- The Case of an NC Mountain Man. 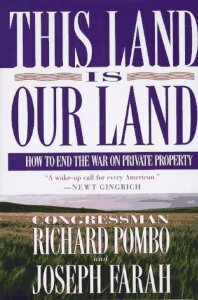 How to End the War on Private Property, by Congressman Richard Pombo and Joseph Farah. Click here to read: The Economic Principles of America’s Founders: Property Rights, Free Markets, and Sound Money. Click here to read: Zoning: Government sanctioned thievery Written by Mike Summey. “Private property must be secured, or liberty cannot exist,” said John Adams. “Private property and freedom are inseparable,” said George Washington. Click here to read: Koontz Case to Protect Property Rights. Click here to read: Man Faces Jail Time For Installing Wind Turbine on Own Property. Click here to read water rules and law on the Oregon Water Resources Department website. Click here to read: Man Faces Jail time for installing wind turbine on his property. Is it not long past time we owned our private property by getting rid of property taxes? When the government can tax your “Private Property” it is no longer private property. It becomes Government property that they are with payment of property taxes letting you use. Definition of private property from the Collins English Dictionary – Complete & Unabridged 10th Edition 2009 © William Collins Sons & Co. Ltd. 1979, 1986 © HarperCollins Publishers 1998, 2000, 2003, 2005, 2006, 2007, 2009 states: is land or belongings owned by a person or group and kept for their exclusive use. The preamble to the U.S. Constitution states: We the People of the United States, in Order to form a more perfect Union, establish Justice, insure domestic Tranquility, provide for the common defence, promote the general Welfare, and secure the Blessings of Liberty to ourselves and our Posterity, do ordain and establish this Constitution for the United States of America. 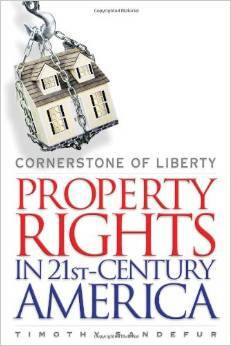 Is not complete and secure ownership of our private property tantamount to our liberty and prosperity? When a government can tax what is suppose to private property is it not telling you it owns what is suppose to be your property? Does this not sound like the days of the KING when he allowed the Serf or Peasant to pay him a tax or fee to live on the Kings property and in a house the king owns? How can a man have true liberty without secure and complete ownership of his private property? So, what can be done about it? Why, not do away with property taxes by adding 1.5% or less to the state sales tax that then could be divided between the governments within a county? So what if, they say its not enough! Is it not time for them to learn to live within their income? I for one say yes. This way you would never need to worry about losing your home, business or land for not being able to pay property taxes. In order to have complete and secure ownership of OUR land we also, need to get rid of zoning and land use plans. If, you agree please, contact your NC Senator and Representative. Senators click here for contact info. Representatives click here for contact info. Carolina Journal – A House Judiciary committee on Wednesday endorsed the latest proposal to protect property owners from what supporters consider eminent domain abuse. The measure could go before the full House chamber Thursday. The committee unanimously approved a proposed amendment to the N.C. Constitution that would allow the taking of property by eminent domain only for public use. It also would require that just compensation be paid to landowners and give parties involved the right to demand a jury trial. House members have passed an eminent domain constitutional amendment in that chamber each of the past three sessions only to see the measure die when the Senate refused to vote on it. House Bill 3 responds to a 2005 U.S. Supreme Court decision that allowed the city of New London, Conn., to acquire private property to sell to private developers. 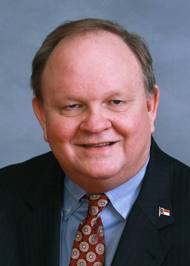 “It is essentially the same bill that passed the House by a vote of 110-to-8 in the last session,” said Rep. Chuck McGrady, R-Henderson, one of the bill’s sponsors.